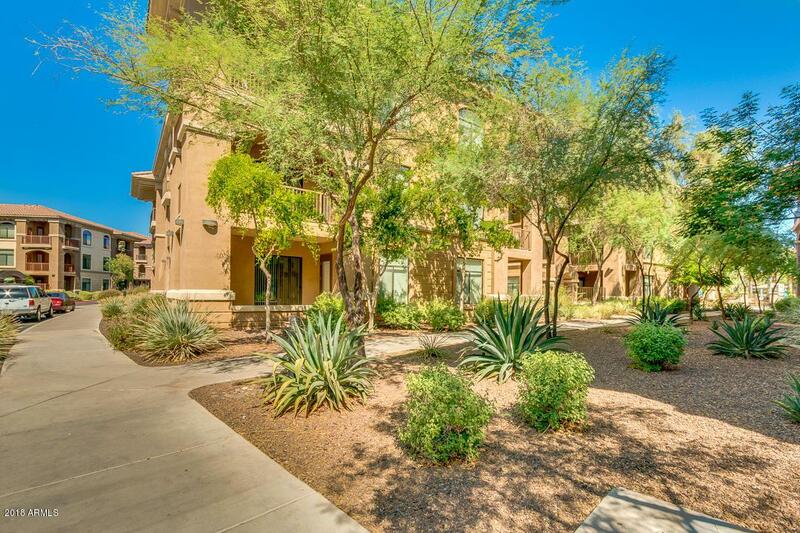 Enjoy RESORT style living at Adderra Condominiums.This fabulous 1bed, 1 bath+ outside patio condo offers elegant kitchen with ample cabinetry, a pantry, granite countertops, mosaic backsplash and new stainless steel appliances. 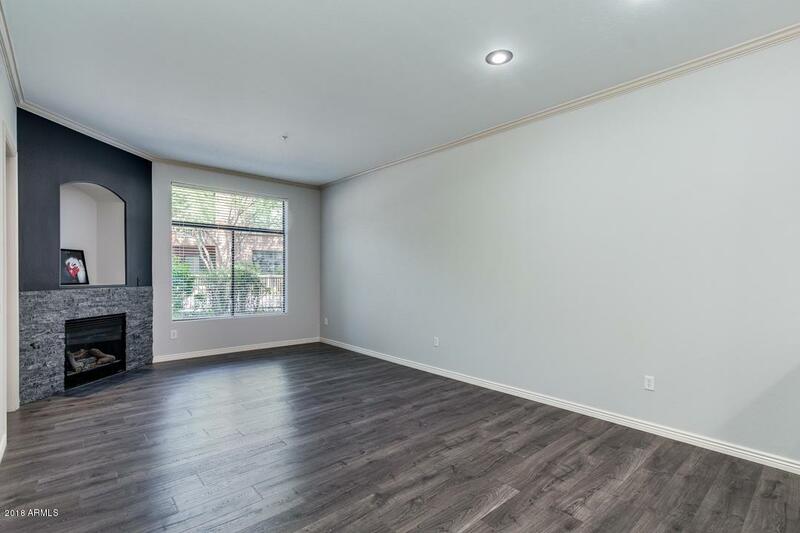 Spacious bathroom featuring stylish vanity with natural quartz top and oversize tub.Livingroom has 9+ ft. ceilings, crown molding, beautiful 10mm laminate floor with lifetime warranty & fireplace.Located on the ground floor very close to the pool and a fitness center. 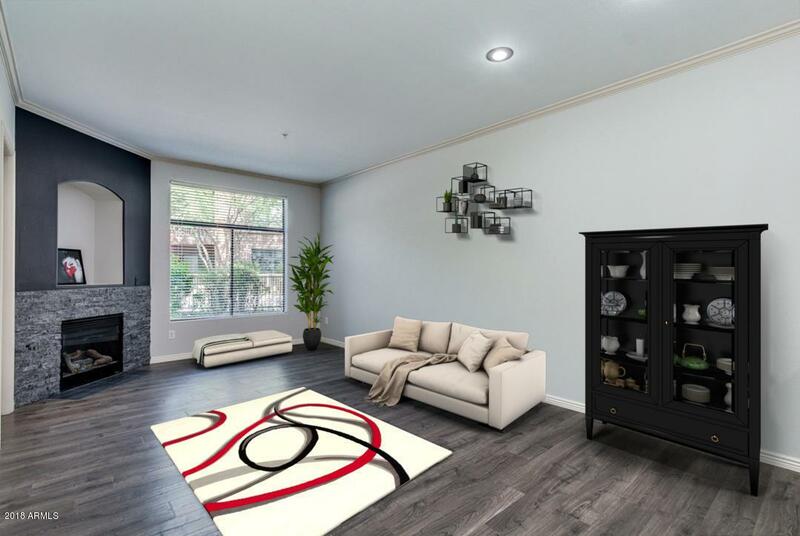 Aderra Condominums offers beautiful outdoor spaces including resort style heated pool & spa, gas BBQ grills & Ramadas.Assigned underground parking space w/ elevators that take you directly up to your floor. 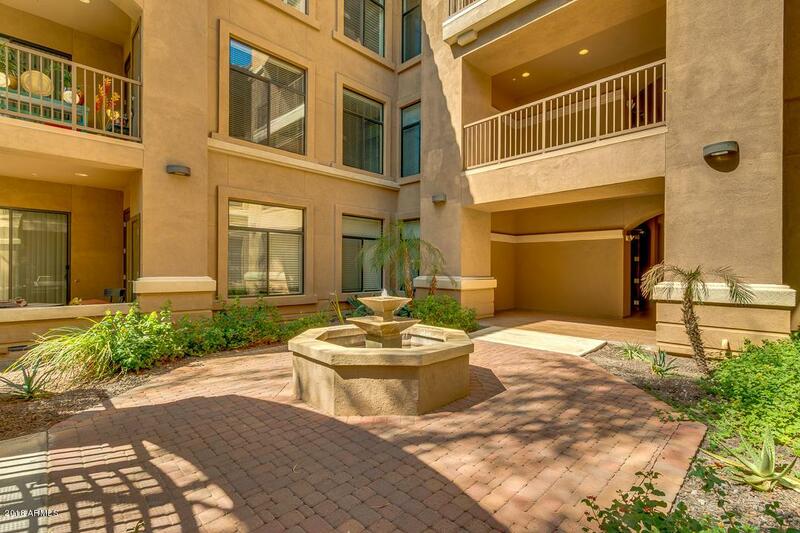 Next to Stone Creek Golf course and Paradise Valley Mall.Come and see it before its gone!